Mariye Mori passed away peacefully on January 29, 2019 at Hearthstone Manor in Vernon with her family by her side. She will be joining her husband Yoshitaka who predeceased her in 2012 and her loving son Barrie who passed in 2006. Four siblings also predeceased her: Metro (Mitsuo), Ron, Butch (Harry) Ikeda and Amy Mori. She is survived by her children: Setsuko “Diana” Mori, Richard (Judy) Mori, Jeanne (Bill) Boer, Hugh (Hiroko) Mori and Terry (Janice) Mori. She is also survived by her siblings: Kazu Yamamoto, Joyce Munro, George and Tommy Ikeda. She will be fondly remembered by her 13 grandchildren and 24 great grandchildren and numerous nieces and nephews who had so many wonderful times up at the farm. In her 99 years she witnessed some of the most remarkable changes in history. 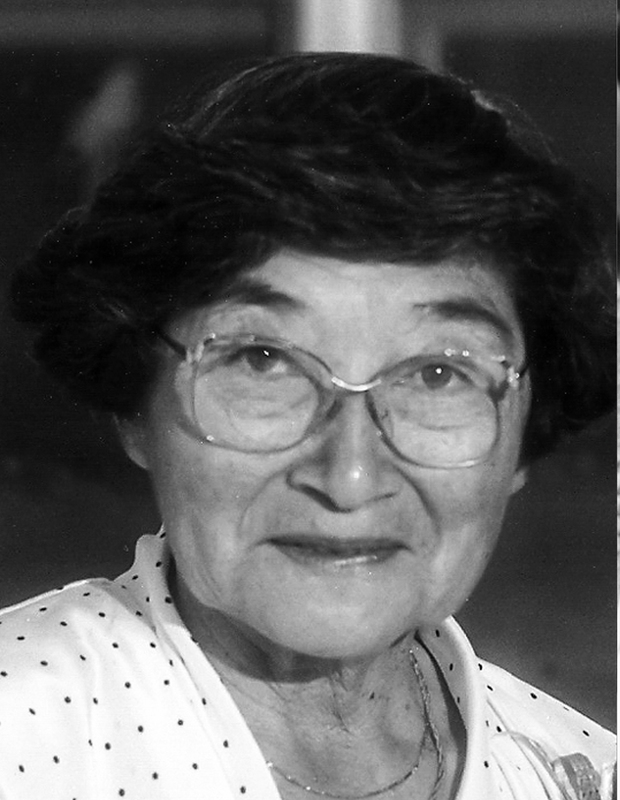 In her early married years, she was subject to the evacuation of Japanese Canadians from the lower mainland and suffered through the loss of their strawberry farm in Mission. However, with the persistence of her father and the help of some local officials, they were able to settle in the Vernon area where she had been raised and schooled. She attended the original Coldstream School, completing Grade 9, but disappointingly, as the eldest of 9 children who was needed on the farm, she could not continue her education. Her loss led to the insistence that all of her children would graduate from University. Through sheer sweat and determination, they largely succeeded. In her later years as, they down sized the orchard, she travelled extensively to her bucket list of historical sites, visiting every continent in the world except Antarctica. She had a lifelong interest in history, geography and politics and kept herself informed with her endless supply of magazine subscriptions. Her greatest joys in her retirement, outside of family, involved spending time with her friends in the I.O.D.E., Fujinkai, The Anglican Church Guild and gardening, golfing, skiing and travelling. We are grateful to the girls at East Hill Respite whose care allowed Mom to stay in her home for years longer than she could have on her own. And a very special thanks to Tracy and Sheila and all of the staff at the Victorian and Hearthstone Manor for their wonderful care of our Mom in her final years. In lieu of flowers, donations can be made to the Upper Room Mission where Mariye donated excess fruits and vegetables from her garden, the World Wildlife Federation, or the charity of your choice. Service of Remembrance will take place on Saturday, April 20th, 2019 at All Saints Anglican Church in Vernon, British Columbia at 2:00 pm. Family and Friends are encouraged to attend to remember Mariye. Arrangements have been entrusted to Pleasant Valley Funeral Home, 4303 Pleasant Valley Road, Vernon, BC V1T 4M4, Phone: 250-542-4333, Fax: 250-542-2319. Expressions of sympathy may be sent to the family at www.pleasantvalleyfh.com.